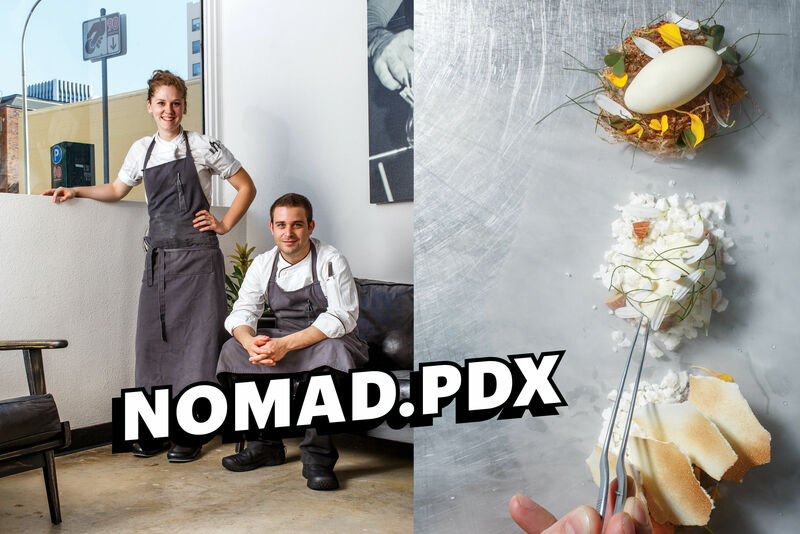 Nomad.PDX Was a Modernist Pop-Up Wonder. Then It Became a Slick Restaurant. 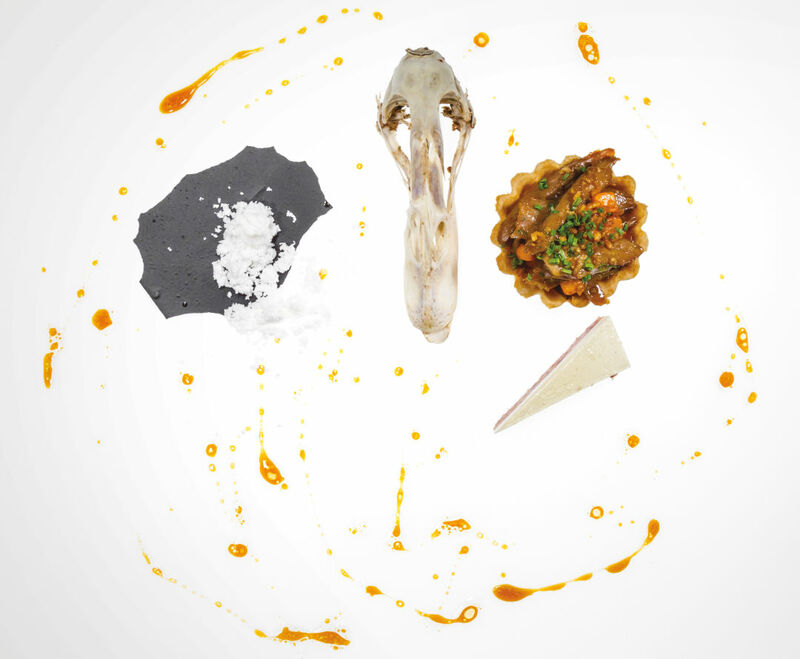 Nomad.PDX’s deconstructed duck—skull and all. I just returned from a tony bar mitzvah in Los Angeles. No kitschy Mogen David wine spritzers there. The bar drew lines for margaritas served in a smoky haze of liquid nitrogen, a bit of drama from the modernist food playbook. (And we thought the Burning Bush was a cool trick.) It was a fun quaff, for sure, but also a warning for food trends: if you’re on the bar mitzvah circuit, you’re probably toast. I thought about this as the nitro fog rolled in recently at Nomad.PDX, its thick murk creeping around a bowl of Netarts oysters. There was so much modernist mist and gloom, I feared Jack the Ripper lurked nearby. Turned out, it was all smoke and mirrors. The oysters tasted of nothing, not brine nor voluptuous sea, much less the promised roasted tomatillo flavor. And that, in a sad half-shell, is the story of Nomad. 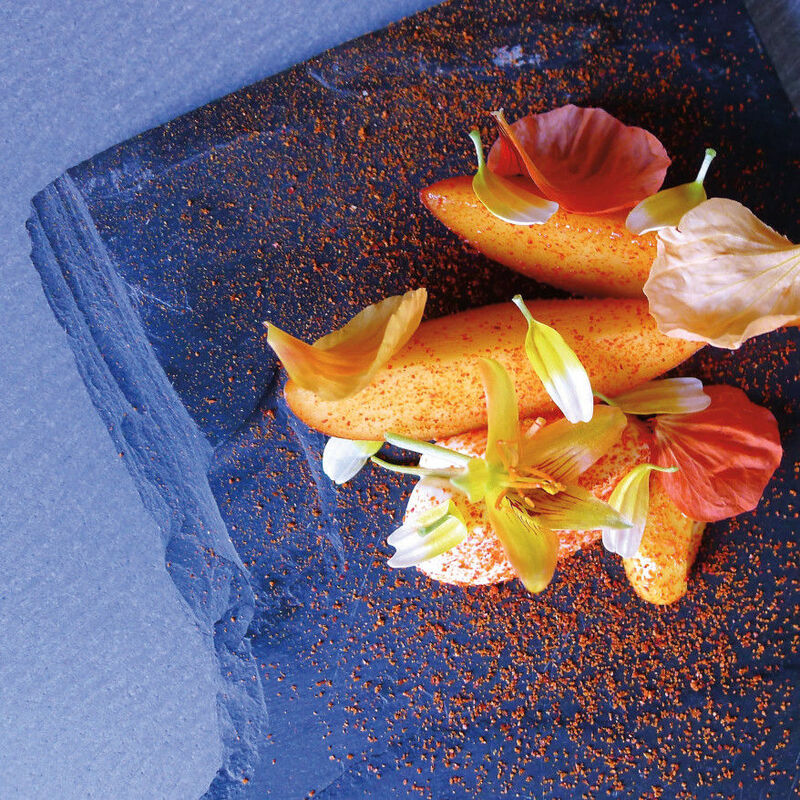 One year after chef Ryan Fox’s high-minded pop-up reinvented itself as a slick tasting-menu-only restaurant tucked next to Han Oak, his self-styled “artistic think tank” may have missed its moment. The vibe is unfailingly upbeat. To eat here is to enter an alternative dimension where “Everything is Awesome!”—except the flavors and the prices. To put it mildly, licking Plexiglas is more rewarding than some of the duds on the set menu, currently served at a chef’s counter inside the large kitchen. You might hit on a couple of lovelies—perhaps a super silky crab chawanmushi. But much of the food parade is jarring: uni chowder of synapse-blowing intensity, beef and sunflower tartare saltier than the Dead Sea, a play on cookies and cream that includes leathery yuba milk skin and glumpy texture. Nomad is sweetly delusional, a friendly dog thinking it’s the first to pose for Instagram. The $135 prix fixe price tag is among the city’s highest, eclipsing Langbaan and Nodoguro. But the modern kitchen, with its nitrogen tank and induction burners, has yet to master the tenets of old-fashioned cooking—true flavors, balanced seasonings ... basic logic. This is not the review I imagined writing. Some of the most exciting food I ate in 2015 came from Nomad, at that point a roving pop-up with ambitions to remake fine dining for a new generation, backed by the hashtag #crushkilldestroy. 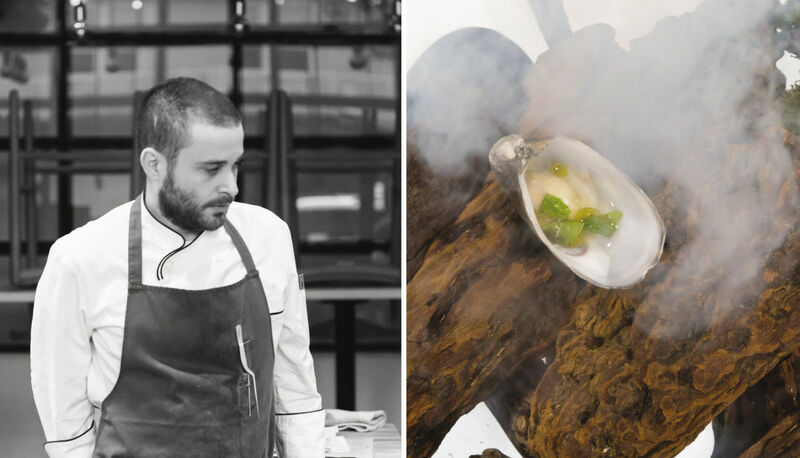 Fox and his talented young sous Ali Matteis hand-delivered each course with talk-your-ears-off charm. 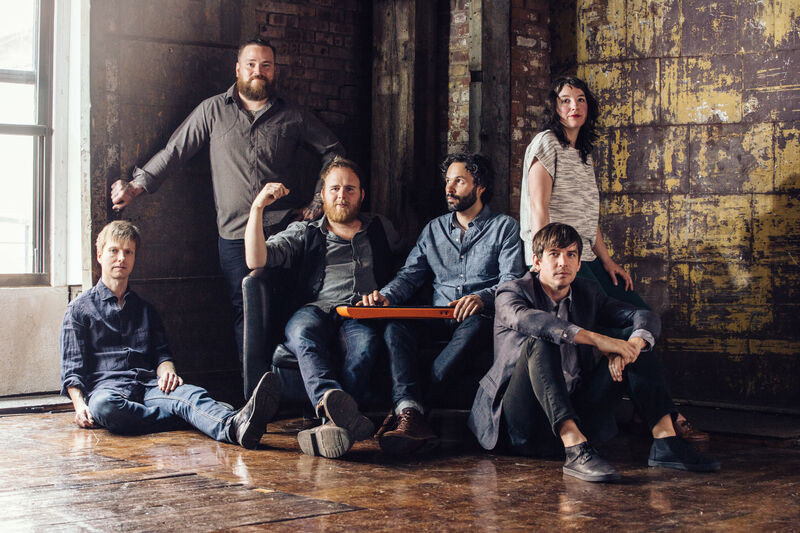 Their plates recalled Portland’s progressive Castagna, where Fox once worked. But Nomad’s own voice was slowly emerging: serious but whimsical, forward-thinking yet nostalgic. 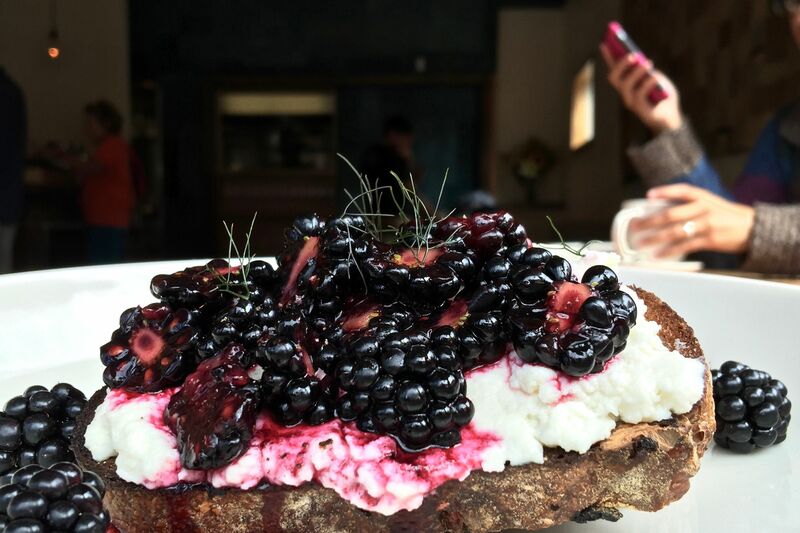 I still remember a stunning dessert built like a bird’s nest, edible debris and all, and a hypercharred eggplant dip that caught the talk of the table: Oregon’s raging wildfires. 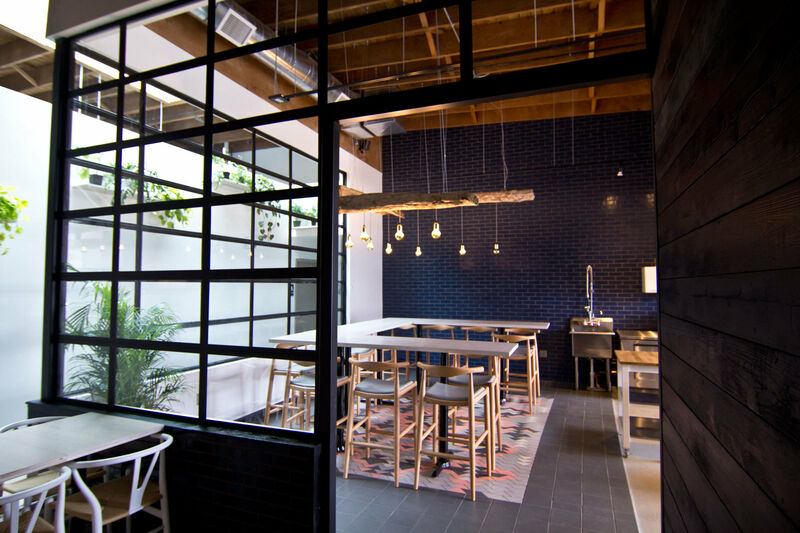 PoMo named Nomad a “Rising Star of the Year.” Soon after, Fox and Matteis set out to build their dream brick-and-mortar. By the time it opened off of NE Glisan Street in February 2017, Matteis was gone. 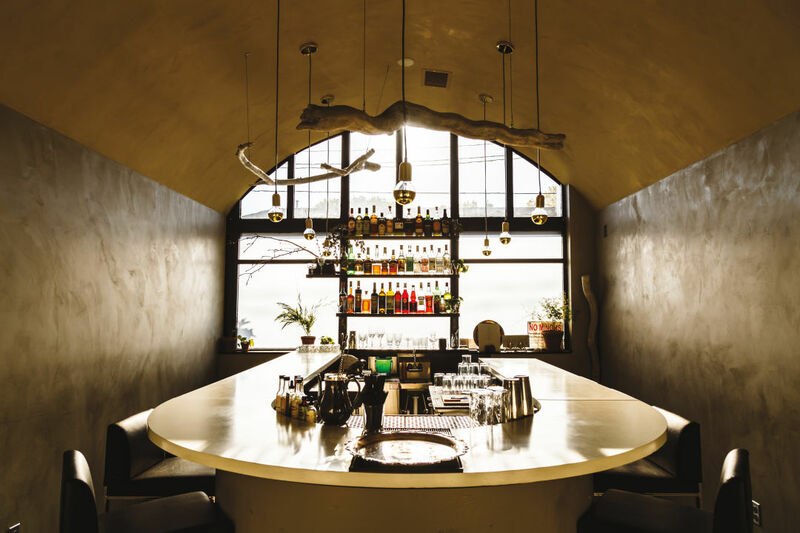 The lack of OG Nomad swagger extends to the new restaurant’s Ash Bar, a jewel box of gold lightbulbs and hanging driftwood fixtures hidden behind a door in the dining room. Drinks are generally fine, sometimes horrid (the gimmicky “Devil’s Dill,” tinctured with CBD extract, is no contact high), and invariably a tad more expensive than at Portland’s best bars, most running $14 and up. Still, they’re improving, and new bartender Estanislado Orona (Raven & Rose) might be up to the task. Meanwhile, the bar’s à la carte menu struggles to find an identity. Over four visits, I’ve found a tasty burger slapped with umeboshi and crisp Sriracha fries, but also a $40 steak frites of no distinction and a $12 watercress salad, dumped in a small bowl, giant stems and all, then hosed down in truffle dressing. “Embarrassing,” whispered my friend Paul. “You couldn’t get away with this anywhere.” Not even in forgiving Portland. Can Nomad find its magic again? A spark flickers at the bottom of the bar menu: the PB&J. Picture this: peanut butter mousse and bright jam on fresh brioche, toasted on one side until the natural sugars caramelize and crackle like crème brûlée, slipped into a Ziploc bag, then served in a brown sack with a Capri Sun and a personalized note from the kitchen scrawled on a paper towel. The first bite made me moan and laugh. This is the Nomad I fell hard for: goofy, generous, technically savvy, surprisingly delicious, and not taking itself too seriously. Please, come back. $$$$ Modern 575 NE 24th St.